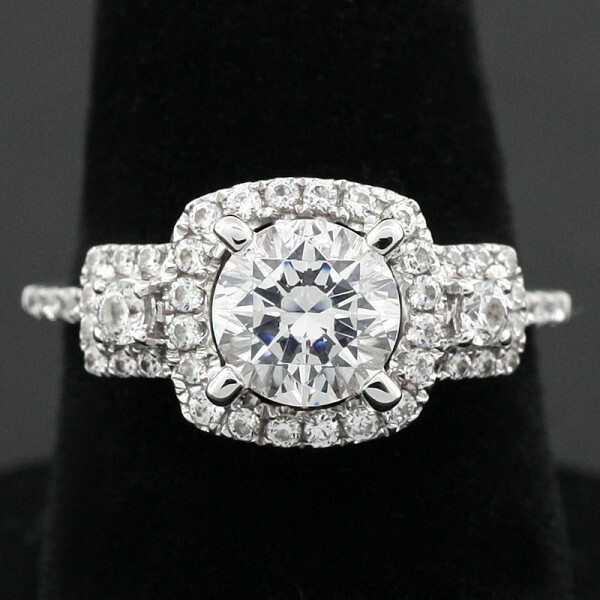 Modified Tabitha with 1.03 carat Center - 14k White Gold - Ring Size 6.0 was added to your cart. This enchanting vintage-style ring features an extra petite band with a triple-halo design on top, showcasing a 1.03 carat center stone and two 0.04 carat accents at the sides. Delicately beautiful, yet dynamic and bold!